Act Quickly! Only 6 homesites left in River Park until Phase 3 opens. Enjoy life in a small suburban town just west of the Catawba River, north of Interstate 85, and close to the City of Charlotte. Amenities include a community club house, pool and walking trails. Two story and ranch home designs available. Hurry... Only 6 homesites remain in phase 3! Don’t miss out. 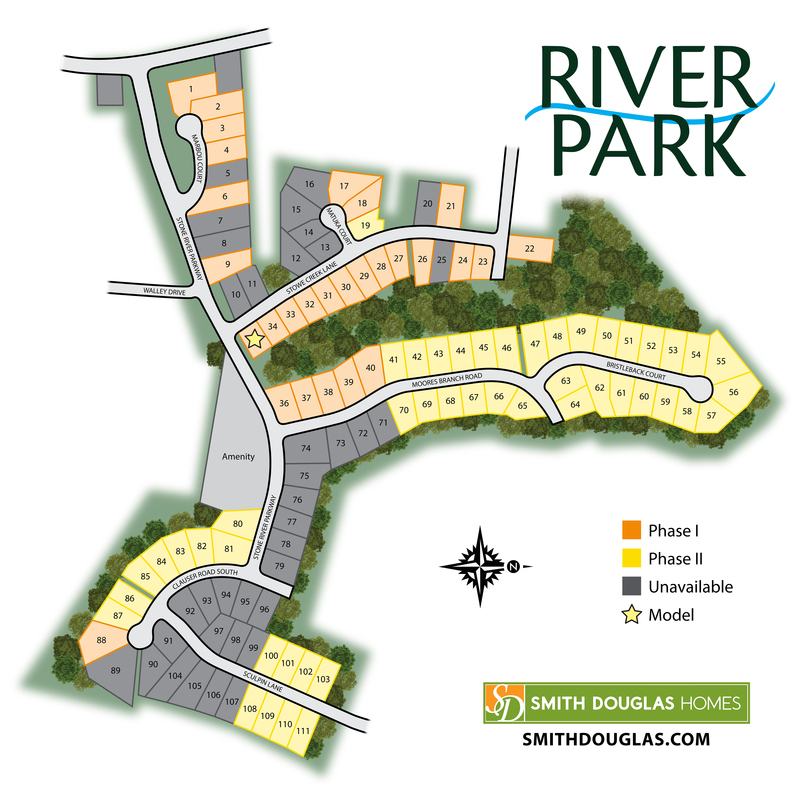 Only 6 homesites left in River Park until Phase 3 opens! From Charlotte take I-85 to 273 N to Mount Holly. Turn right into River Park on Stone River Pkwy.